Democrat Jared Polis was elected as the next governor of Colorado, and will become the first openly gay governor in U.S. history. Currently, Polis is a member of the U.S. House of Representatives for Colorado’s 2nd Congressional District, a position the 43-year-old has held since Jan. 2009. Polis received 51.4 percent of votes as of midnight, compared to Republican Colorado Treasurer Walker Stapleton’s 45.2 percent. Polis is opposed the Iraq War and in favor of pulling all U.S. troops out. As one of only a few members of the LGBT community in congress, he is a supporter of LGBT rights. Additionally, he has long been opposed to the War on Drugs. Walker Stapleton has been the Treasurer of Colorado since 2011. Additionally, Stapleton said he supports school choice and wants to shift the focus from schools to students. He was against sanctuary cities and the “misguided 2013 gun control laws,” according to his website. Republican Ron DeSantis, 40, will be the next governor of Florida. 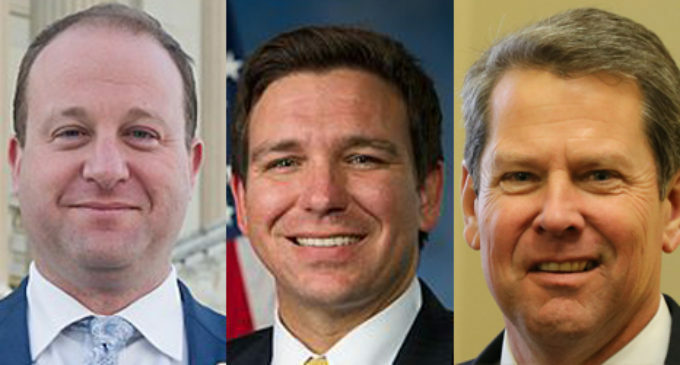 DeSantis received 49.8 percent of the vote, while his challenger, Andrew Gillum, received 48.9 percent of the vote. DeSantis is a Yale and Harvard graduate who served in the Navy for six years. He also served as a representative for Florida’s 6th congressional district from Jan. 3, 2013 until Sept. 10 of this year, when he resigned in order to focus on his gubernatorial run. Gillum, the mayor of Tallahassee, lost in the race that would have made him the first black governor in the state’s history. Gillum, 39, has been the mayor of Tallahassee since Nov. 21, 2014 and previously served on the Tallahassee City Commission for 11 years. Gillum opposed Florida’s Stand Your Ground law, and was in favor of a provision to restore voting rights to Floridians who have completed felony convictions. This provision would exclude those found guilty of murder and/or sexual offenses. DeSantis’ term as governor will begin in Jan. 9, 2019. His Lt. governor will be Jeanette Nuñez, a 46-year-old healthcare businesswoman. As of early Wednesday morning, Republican Brian Kemp led Democrat Stacey Abrams by less than two points. If elected, Kemp will serve as the next governor of Georgia. Abrams is refusing to concede, which suggests that the race could go to a runoff. Kemp has served as the Secretary of State of Georgia since 2010 and has drawn controversy as his current position oversees elections and election data some have called out for being a conflict of interest. Former President Jimmy Carter, who served as the governor of Georgia from 1971 to 1975, called for Kemp to resign from his position as Georgia Secretary of State while running for governor. Kemp did not resign. Kemp is opposed to Medicaid expansion and repealing the Affordable Care Act while in favor of imposing the strictest abortion laws in the country. Abrams is the Democratic challenger, and the 44-year-old served as the minority leader of the Georgia House of Representatives from 2011 to 2017. Abrams is the first black woman to be nominated in a major gubernatorial race. If she had been elected, she would have been the first-ever black woman to serve as governor in U.S. history. At age 29, she was appointed as the Deputy City Attorney for Atlanta, Georgia. She received her law degree from Yale. Abrams wants to increase spending on public education, expand Medicaid and end cash bail for poor defendants as well as decriminalizing small amounts of marijuana and ending the death penalty.